The dairy chain is an integral part of global food supply, with dairy food products a staple component of recommended healthy diets. The dairy food chain from production through to the consumer is complex, with various opportunities for microbial contamination of ingredients or food product, and as such interventions are key to preventing or controlling such contamination. Dairy foods often include a microbial control step in their production such as pasteurization, but in some cases may not, as with raw milk cheeses. Microbial contamination may lead to a deterioration in food quality due to spoilage organisms, or may become a health risk to consumers should the contaminant be a pathogenic microorganism. As such food safety and food production are intrinsically linked. 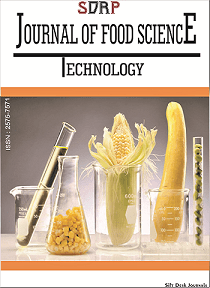 This Research Topic welcomes submissions on issues relating to the microbiological integrity of the dairy food chain, such as the ecology of pathogenic and spoilage organisms through the dairy farm to fork paradigm, genomic analysis of these contaminants, their behaviour/survival through this stream, and novel strategies for their control.